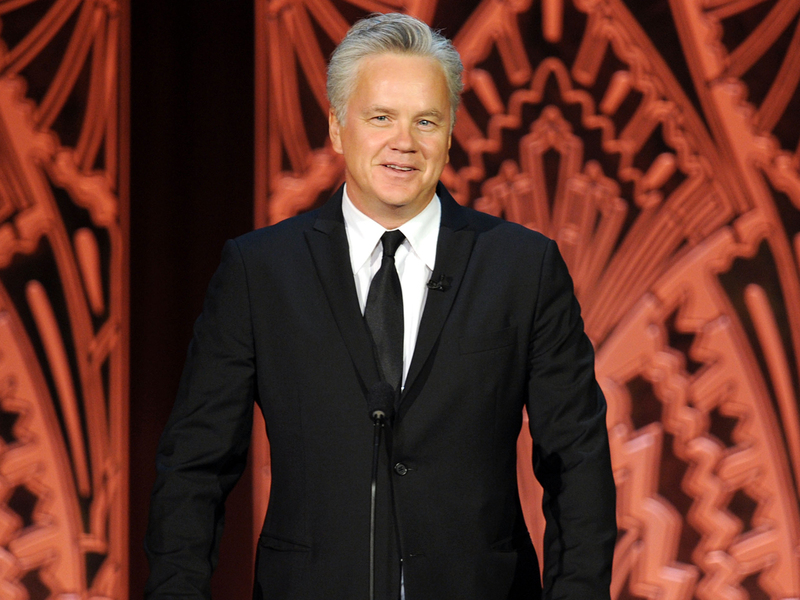 Tim Robbins famously portrayed a prisoner in 1994's "The Shawshank Redemption," and now he's going back behind bars. But this time, he's not the one doing the acting. Instead, Robbins is helping to teach prisoners the craft. The Oscar-winning star is among 15 rotating acting coaches at a medium-security prison in Norco, Calif., reports CBS' KCAL-TV in Los Angeles. On Tuesdays, Robbins visits the prison as part of The Actors' Gang, a non-profit theater company he helped launch 28 years ago. The program aims to help inmates express various emotions by bringing in professional actors to lead a series of exercises. "They're asked to do things they never been asked to do in their life: open up emotionally, and put makeup on and costumes on, and pretend to be people. It's weird stuff," Robbins, 53, said. "In here you get to experiment with it and you kinda find out who you really are," said Zach, an inmate and program participant. "It's the opposite of prison, completely opposite," added Joshua, another participant. "I'm hanging around with a white person, black person. I'm hanging around with someone who is energetic, someone who is happy or sad, and you get to experience these different types of people." The Prison Project is one of the few art rehabilitation programs still in effect at adult correction facilities in California. "We live in the same society with these guys," Sabra Williams, the program's outreach director, told KCAL-TV. "It's in all of our interest to make sure people are rehabilitated and do better when they come out." As for Robbins, he's also attached to a couple of upcoming films, including "Thanks For Sharing" with Gwyneth Paltrow and Mark Ruffalo, as well as "Back to 1942," alongside Adrien Brody.